It’s Halloween, which means families will be fretting about sugar, snacking and teeth-brushing. As the mom of a toddler who puts any lawyer to shame, our house will see our fair share of high-level negotiation on these topics too. As I think about my kids’ teeth, one of the things that motivates me to keep up good habits is knowing that oral health is not only about avoiding cavities but also a key component of overall health. There is a long list of health conditions that are made worse by poor oral health ranging from diabetes to cardiovascular disease. Since childhood is where we lay the foundation for lifelong habits I want to make sure that my kids understand how their teeth and gums impact more than their smile. So what does cause decay? Bacteria—and bacteria feeds on sugar. The more often it eats, the more it grows. So, for your teeth at least, it’s better to eat all your Halloween candy on one night than spread it out a piece at a time until New Years. And despite the fact that your tube of toothpaste tells you to talk to your dentist before you use it on a two year old, professional groups including the American Dental Association and the American Academy of Pediatrics agree that you should use a small amount (to reduce the amount swallowed) of fluoridated toothpaste as soon as the teeth erupt to lower the risk of decay. These aren’t things I’ve necessarily learned as a mom because frankly our education as parents and consumers of oral health isn’t yet what it should be. I’ve learned them because at the Blue Cross and Blue Shield of North Carolina (BCBSNC) Foundation we’ve had a priority focus on improving oral health for several years. That this focus has coincided with me having young kids in my life has made it more personal. Knowing that hundreds of kids as young as two or three have their teeth extracted or capped under general anesthesia in operating rooms across our state is much scarier to me than a little Halloween candy. It is clear that many North Carolinians aren’t seeing a dentist when they should—for guidance, for early detection or for treatment. Many kids, and even more adults, don’t make it to the dentist until their pain is unbearable or their smiles blackened by decay. The most recently available data from state surveillance of the oral health of kindergartners shows striking disparities even among five year olds. In Anson, Ashe, Clay, Northampton, Robeson and Vance counties, more than 25 percent of kindergarteners come to school with untreated decay compared to the state average of 13 percent. The disparities can get even starker when you look at race and ethnicity as well as geography. 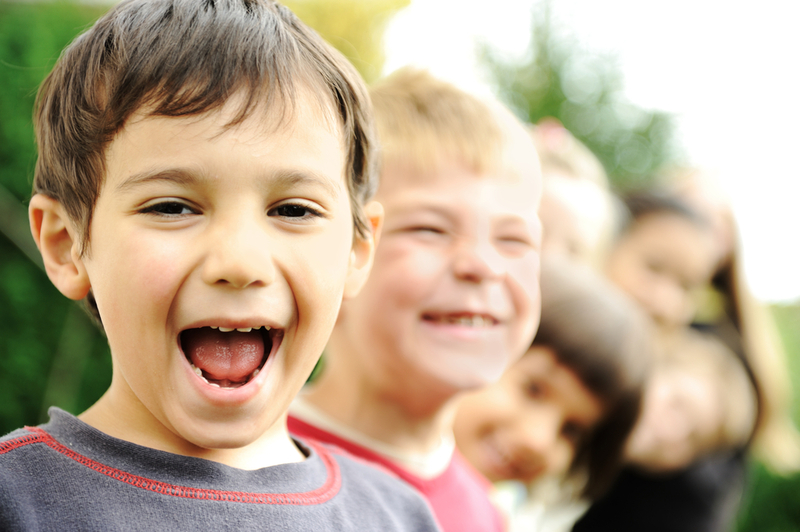 While behaviors such as diet and brushing with fluoride toothpaste are critical for good oral health on the individual level, identifying decay early, educating parents and kids about how to care for their teeth and delivering important preventive services like fluoride varnishes, and for slightly older kids, sealants, is work largely done by primary care providers and dentists. So this Halloween, I’ll encourage my kids to choose chocolate over gummies, I’ll make sure we stick to our twice a day brushing with fluoride toothpaste (a rice grain-sized “smear” for those kids who have teeth but can’t reliably spit yet) and I’ll continue to talk to both my pediatrician and dentist about my kids’ oral health risk. And in my working hours, the BCBSNC Foundation and partners from across the state are coming together to learn more about the disparities in oral health here in North Carolina and what we might do to improve them. I hope you will join us—one way to stay informed is to join the email list of the NC Oral Health Collaborative at http://oralhealthnc.org/. The Blue Cross and Blue Shield of North Carolina Foundation is independent of Blue Cross and Blue Shield of North Carolina. BCBSNC Foundation-related initiatives are described in this blog post.